When you decide to beautify your home with a new roof, there are a lot of decisions you will need to make. One of the main decisions is deciding on the materials you are going to use, which will ultimately affect the style and look of your new roof. You will be choosing a color that is suitable for your taste, as well as being suitable for the climate. Equally important is the decision of all will be in choosing a qualified roofing contractor. This professional will be able to help you with all of your decisions as well as being able to get the job done right. There are a lot of materials that go into place on a new roof, and one of the first materials that goes up on your house is something you will probably never see, the underlayment. Contractors will use different types of underlayments for different conditions, but fall into three different categories: felts, synthetics, and self-adhering ice–and–water barriers. 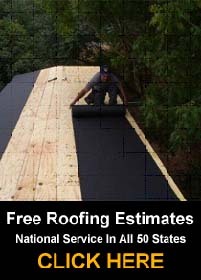 The most popular roofing underlayments used are asphalt-saturated felt. This felt paper is rolled out onto the deck of the roof and stapled into place. The newest roofing underlayments are synthetics; these are polymers that are easier to work with and tend to be tear resistant, contractors tend to favor this type of underlayments.